In December 2017, The Aerotech Group, based in Kent Town, SA Australia, took possession of its new 710P Thrush. The purchase was made through Campbell Briggs of Statewide Aviation, Australia’s Thrush dealer, based in Moree NSW. The aircraft is powered by Pratt & Whitney Canada’s PT6A-67AG engine. This may have seemed an unusual purchase to many, as The Aerotech Group has been buying Air Tractors since the early 1980s and has been a big supporter of the brand. And it still is, currently having 12 Air Tractors in its fleet. 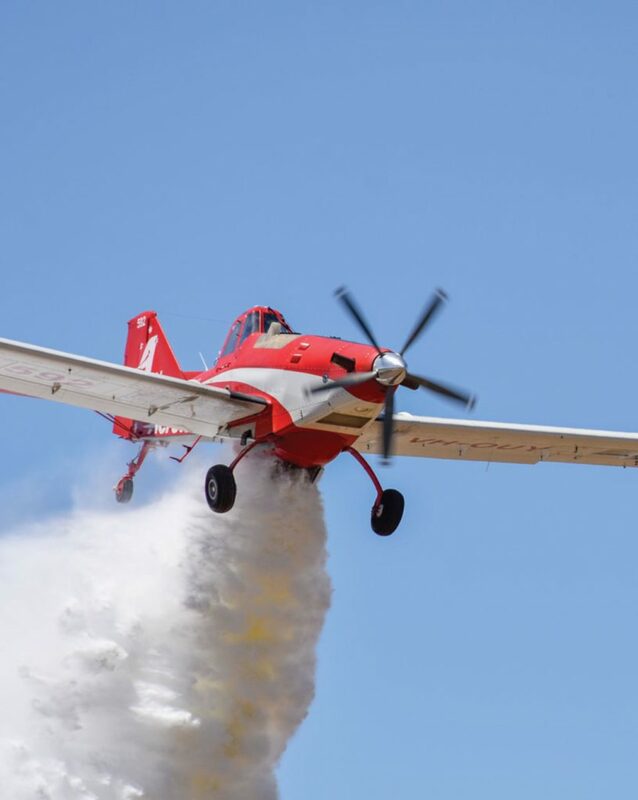 Managing Director of The Aerotech Group, Sam McCabe, says, “Our Australian Fire Agency had voiced some concerns in us providing only one type of aircraft for our aerial firefighting contract. Whilst there was no huge pressure from them, we wanted to respond to their concerns.” He also added that the 710P Thrush seemed like “a great value proposition”. “Affectionately, we like to call it the 770 Fire Angel. She’s a pocket rocket. The Aerotech Group’s maintenance crew fitted the Transland fire door as well as the adaptor box, that in fact increased the hopper capacity to 770 gallons (2,900 litres), which we were pretty impressed with,” said McCabe. 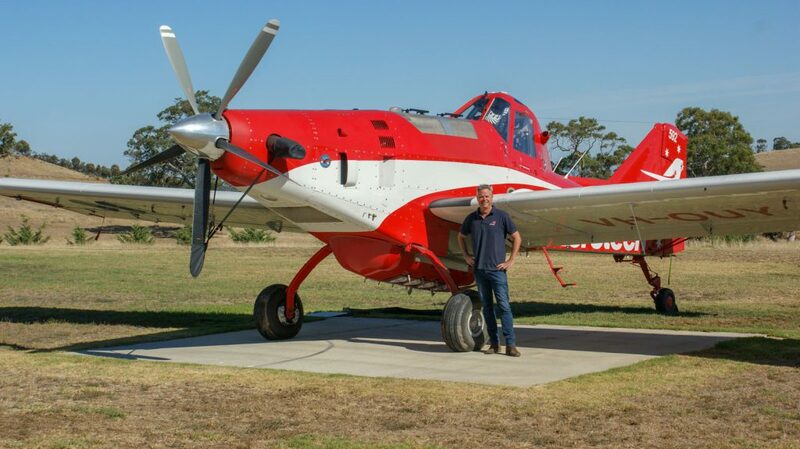 The pilot for The Aerotech Group, who has been putting the 770 Fire Angel through its paces, is New Zealand Kiwi, Shaun Sinclair, who thinks its performance has been on the money. “I’m happy to say it carried a full hopper with relative ease with good maneuverability and speed. The aircraft’s climb rate of 800 ft/min were achieved, which was pretty impressive. It started to feel a little uncomfortable when slowed down to 100 kts,” reports Shaun. Statewide Aviation coordinated the registration of the Fire Angel on the Australian registry. The aircraft was uncrated and assembled by the Statewide maintenance team in Moree before being delivered to The Aerotech Group. Being a Transland dealer, Statewide Aviation worked closely with Roberto Rodriguez and Anthonie York from Transland’s factory in Wichita Falls, Texas to modify the fire gate and adapter box to fit the 710P Thrush creating the 770-gallon Fire Angel. The gate has a Transland/DynaNav controller with the capability to control both the Fire Gate and the hydraulic Ag Gate. The controller is set up using a touch screen for the desired drop the pilot wants, whether that is ¼, ½, ¾ or full salvo. The controller also allows the pilot to choose from Level 1 to Level 6 drops with the touchscreen. The gate has dual, longitudinal positioned doors that are very similar to Transland’s 10” gate doors. It is hydraulically actuated using one accumulator and has the capability to perform manual or hydraulic jettisons (emergency dump). It has ports for foam injection. Its configuration allows the mounting of a spray system on it while the Fire Gate is installed. The 770 Fire Angel has a Transland adapter box installed that allows the Ag Gate to mount to it when the Fire Gate is not needed. The gates mount to the adapter with simple threaded bolts. Two installers can typically make the switch between gates in a couple hours. Shaun is excited about putting the 770 Fire Angel into action in the upcoming season. The aircraft will be used for both firefighting and ag-operations.